Yesterday I spend a beautiful time in family. I visited my mum and we had a lunch all together. I was wearing a simple basic Topshop t-shirt and a vintage skirt. My new H&M lace colar added a sweet and special touch to all outfit. Hope you like this one. bellissimo outfit! che bei colori! :) baci e buona giornata! Thank you a lot, Ioana. You are so sweet with me!!! Delizioso l'outfit e altrettanto bella la location! Complimenti! Se ti va vieni a dare un'occhiata al mio blog sono curiosa di leggere un tuo commento!!! Arrivo cara. Ti ringrazio per la tua deliziosa visita. A BIIIG HUG!!! Thank you love so much!!! Nice pictures! The lace colar is so cute! Carinisima ! Il colano e bellisimo! :))) I am happy u like it!!! Le prime foto sono bellissime, e adoro i colori della borsa in paglia! Thank u a lot for you lovely visit!!! Iti multumesc Alexandra foarte mult!!! The picture is amazing ! Love your top and your skirt so bad ! Thank you so much, my precious Emily!!! foarte frumos blogul tau, te urmaresc! Pastel perfection and the location! wow!!! Here during the summer is so beautiful! Oh yes, the collar deffinitely brings out the outfit! Love it. Oh, thats wonderful. Thank you and be welcomed, SARA!!! I love the lace collar! It gives the perfect touch to you outfit. thank for your lovely comment, Alison! Thank you so much, Manu!!! BIG HUG!!! Love your style! It's very cute! I am so happy to hear that. Thx a lot!!! I follow you for GFC. We are in contact, we hope! Thats great! Hope for the same :))) Love U! Je t'ai ajouté sur bloglovin et blogspot comme tu voulais et toi ? Marlin I took the blog Color My World, we know of Chicisimo, we still there. I wanted to invite you to my world where I show my particular way of seeing the world withpictures, news and a few other things as non Sweepstakes!. With a little luck if you likeyou could be part of it, I delighted to follow yours. Best to stay in touch.Feel like! I am happy as well. Wish to have more friends like u. Warm Welcome here!!! Thank you. Is from H&M. I am sure u can find it! maybe you would like to follow my other blog too? I would be happy to do that! Lots of love, dear! Thank you so much for your comment :) It's so good to know that. I'm following you on bloglovin already :)Xoxo, C.
Thank you for that. Is so great! Hope to see u soon. Kisses! tkx for ur lovely comment.surely im gonna fallow u! things i can say about ur blog: BEAUTIFUL! You are so generous and kind. Thank you infinetelly for that!!! Lots of love, Anja! Thx so much!!! Bellissime le tue foto ! I really like your mint collar and your photography! Following each other sounds good. I follow you now via GFC and bloglovin! Thats so great. Warm Welcome Here. My Best Regards, dear friend!!! 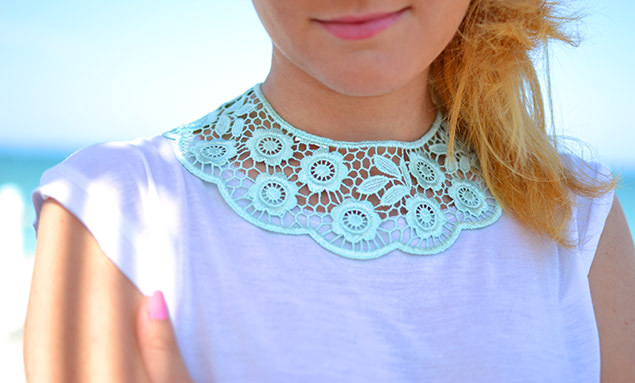 Love that lace collar! It's so pretty & looks great with your skirt! Thannk you for great words, Alison. Happy to following u too. My Lovely Greatings!!! Thats would be great!!! Lots of hugs!!! 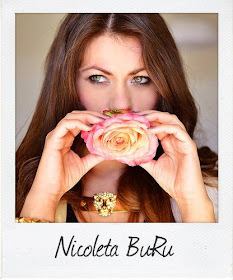 Hello Nicoleta!! Im Eider from the blog http://myfairycloset.blogspot.com.es/ Im already following you because i love your blog. congratulations!! Eider, such a pleasure to see u here. Warm Welcome!!! Thank you, Flo! So beautiful comment!!! I would be so glad to do that!!! Lovely greatings!! !